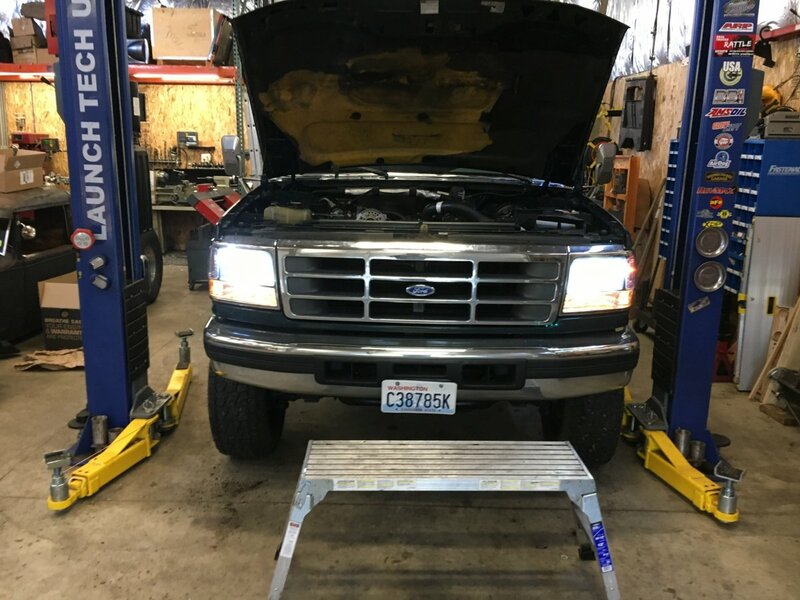 1995 Chevy AMP steps using custom brackets and a wiring harness from DK diesel in Bellingham. 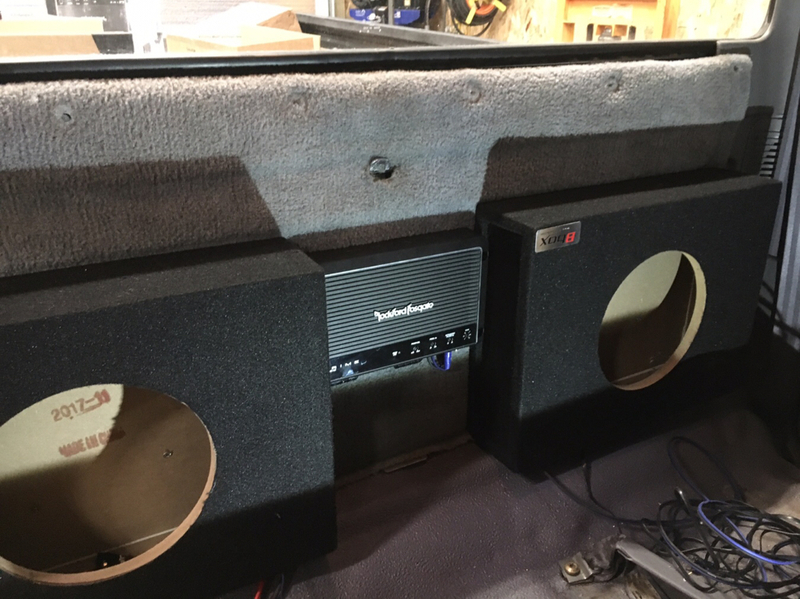 Pioneer flip screen single din deck with back up camera and sub woofer system behind the deck seat. Towing mirror from a newer Duramax truck. I have the brackets but not the mirrors yet. The seats probably won’t happen until after summer. She is shopping for new interior now. 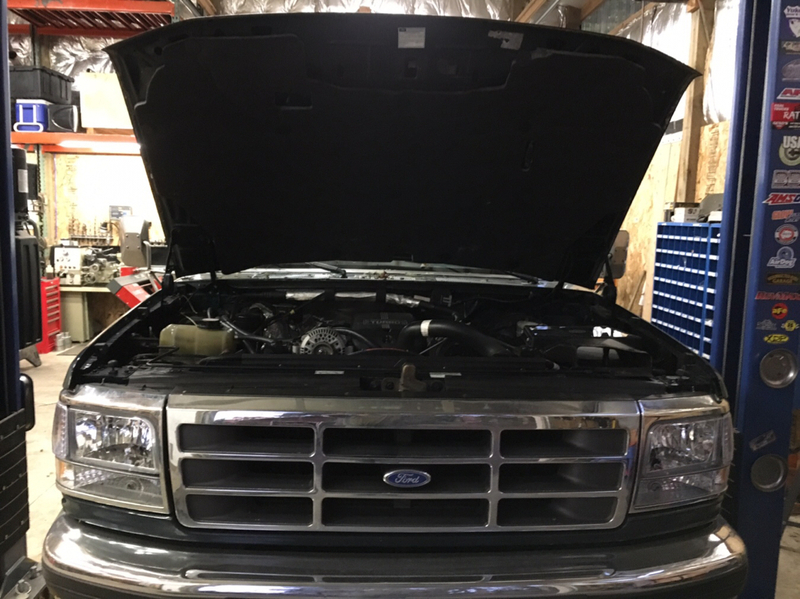 Here is a picture of the front end with the new headlights installed. Super cool project! That’s gonna be a mighty sweet ride. This body style is one of my all ‘round favorites, yes more so than a 2nd gen Dodge, especially in a crew cab long bed dually. I forgot to mention...it’s a crew cab. Gonna be a cool project! That will come later... We are already talking a Fummins project. I got a couple hours to work on the Queen Ranch project tonight. I pulled the back seat and carpet off the back of the cab. I cut a piece of MDF to fit behind the carpet to mount the amp and speaker boxes too. I made some aluminum brackets to hold it in place behind the carpet. I connected all the wires to the amp and boxes. I need to pick up some pillow stuffing for the boxes before I mount the woofers. In this picture, the board isn’t even screwed in place. It fits tight the way it is. I need to get the wires routed before securing it permanently. I ran out of gas tonight. It was a very busy weekend and I have some borescope inspections at work tomorrow. This is where I left off tonight. 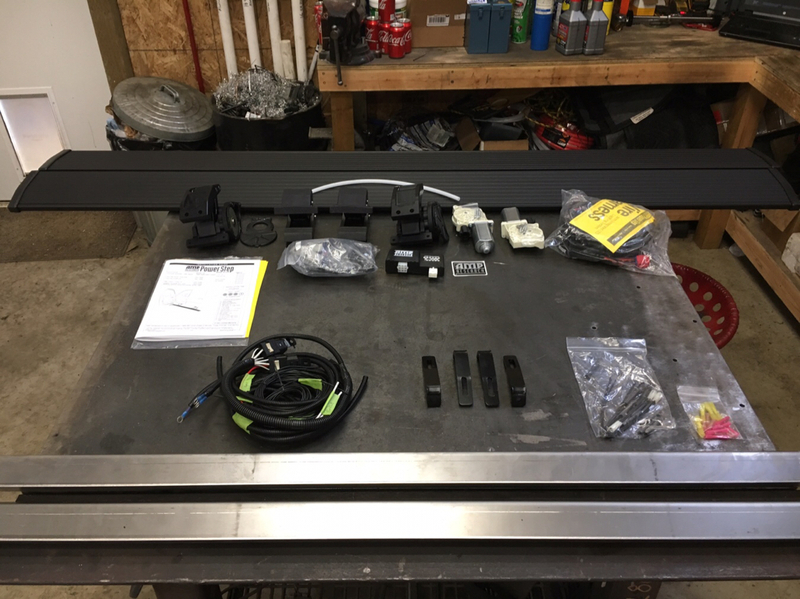 I also got all the parts from DKDiesel to install the AMP power running boards. Looks like a fun project Ben. 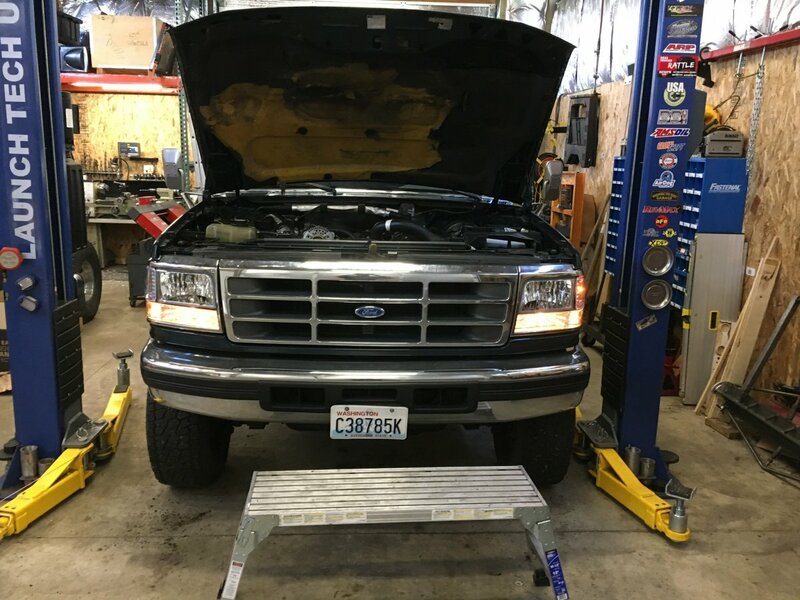 I did a bunch of work to a 96 ext cab long bed 7.3 auto a few years back. It had 270k IIRC. It needed allot of little things, shifter was sloppy, glow plugs, wiring clean up, under cover harnesses, ect. The worst part was figuring out why it had a random high RPM miss. The correct Ford CPS fixed the miss but I tried the other CPS's in 2 other trucks and they worked fine. No issues with the CPS wiring. The only thing I could come up with was the cam thrust must have been worn to the point that the cheap parts store CPS just couldn't pick it up when it walked back at high RPMS when up to operating temp. I informed the owner of the things it could have used and the costs but he decided the payback was to much at that time, so he was going to just run it. I touched base with him about 6 months later, he said it was doing great. Looking forward to seeing this project take shape. I just went through something very similar on another OBS. I only use factory CPS's from this point forward. Theres two types of 7.3 owners.... one who carries a spare oem cps in their glove box, and one that carries an auto store cps. He left with a spare parts store unit in his glove box. I told him I would personally ditch it in favor of a factory one but its better than nothing. I told the old guy that owned the OBS I just fixed, that if he had to change one of those on the side of the road, just burn the truck to the ground. LOL! They aren't that bad to change but he was 76 years old. I couldn't stand the thought of him doing that. I told him to call me and I would change it. LOL! When I was testing them between trucks I asked one of my brother in laws diesel tech students to pull the one out of another truck. I pulled the one out of the 96 then proceeded to go inside for lunch. Came back out a while later, walked over and asked the famous "aren't you done yet?" to which he said, F#%K NO! I then handed him the combo of tools I was using, I believe it was a 1/4" socket wrench, a small extension, and the socket. Told him where to position himself and he had it out in a few minutes. We gave him plenty of crap for it. 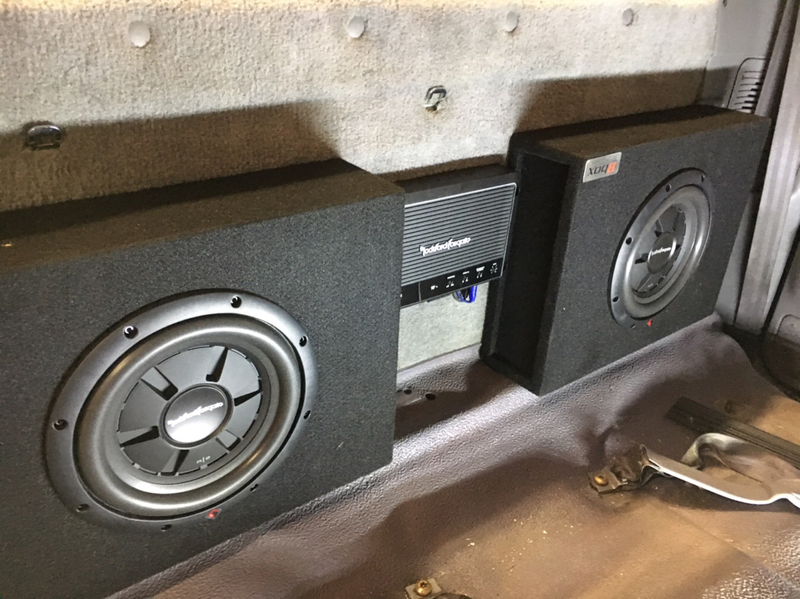 I finished the install of the subwoofer system and rear speakers. Still need to route the wires forward to the deck but the mounting is done. 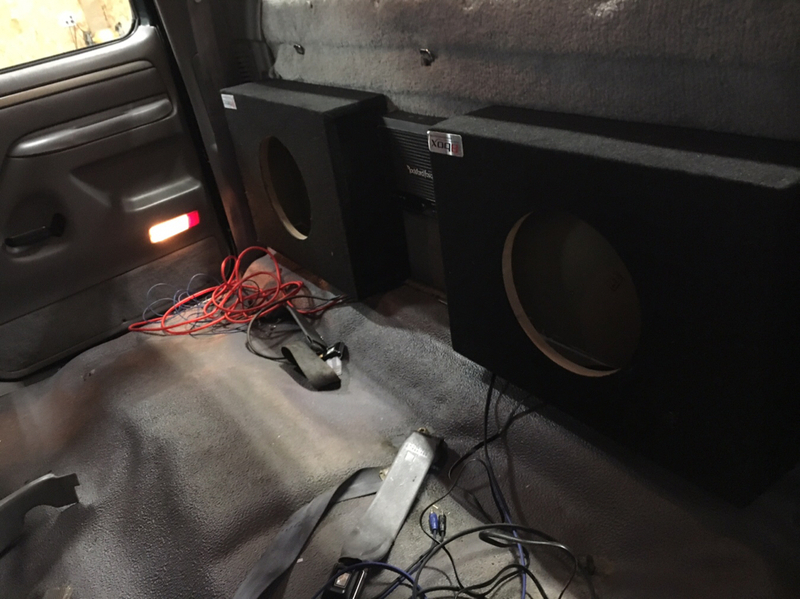 Just waiting on some speaker grills we ordered before I put the back seat back in. I also started modifying the door pins for the AMP steps. I am starting on the AMP step install.I drilled the brackets where they needed to be drilled for mounting to the cab. 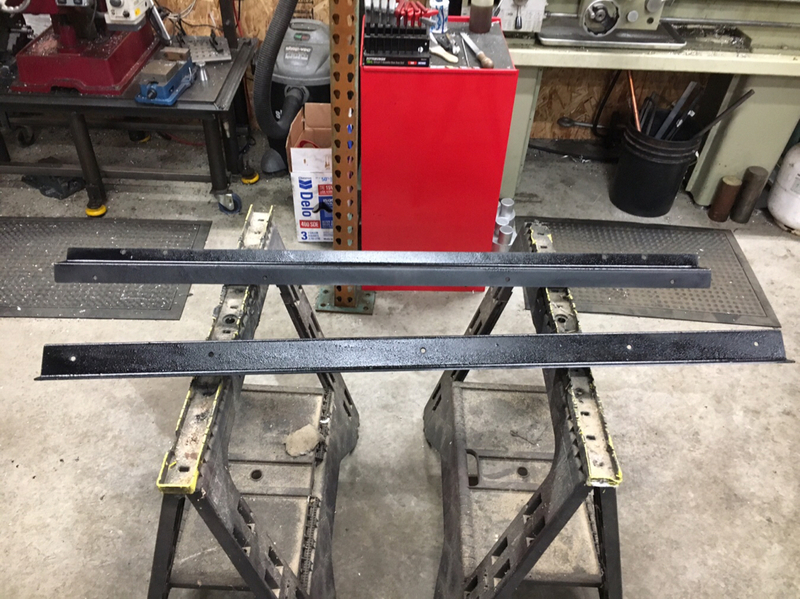 I also painted the brackets. Eventually the brackets will be pre-drilled and powder coated. 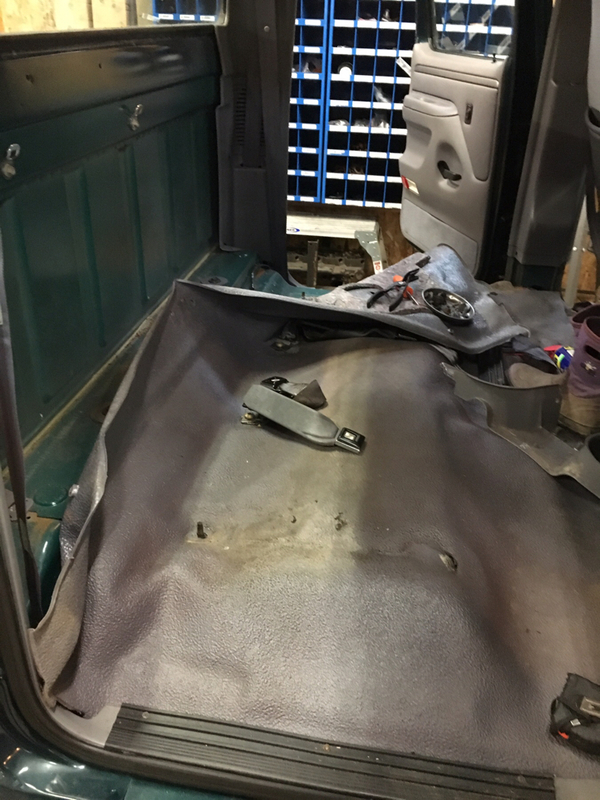 DJ still isn’t sure where the holes need to be to fit crew cab, club cab and regular cab installations. 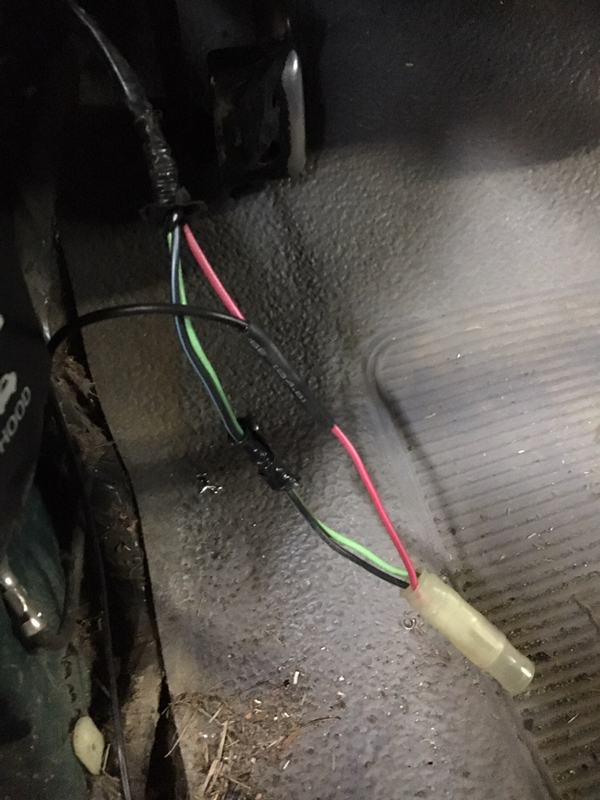 I pulled all the door pins and tapped them for the DKDiesel wiring harness that will control the AMP steps. I also removed all of the door sill plates so the brackets could be mounted to the cab. New hood insulation showed up so I changed that out also. 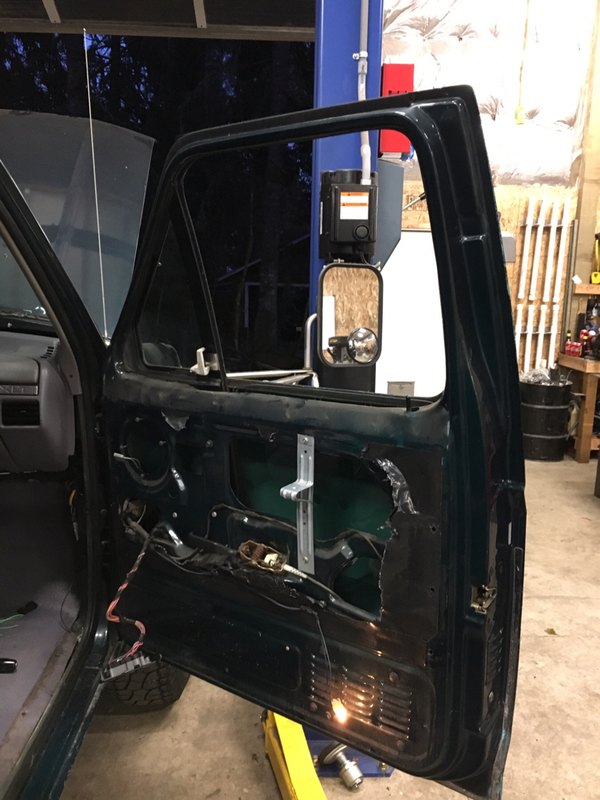 I pulled the door panel from the passenger side to investigate the process to install the Duramax towing mirrors. This is going to be a big and tricky job. The welding is pretty straight forward. It’s the wiring that is going to be a challenge. I need to find. Switch for controlling the mirrors that has the plug/pigtail attached. Finding the factory switch isn’t an issue, finding the plug and pigtail seems to be a challenge so far. Mirror change for appearances ?? plugging old holes or off to Jesse for proper fix ? Appearance and function. 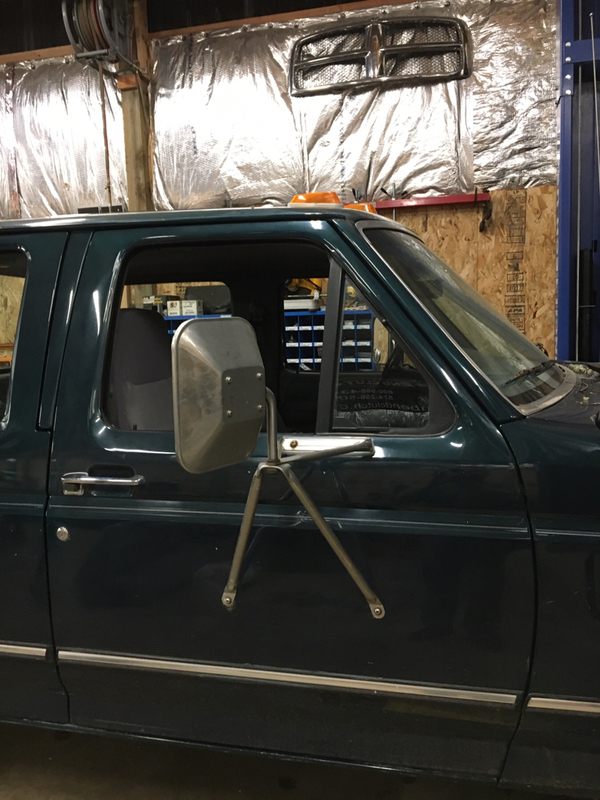 My goal is to make the power mirrors fully functional,including the turn signals. It will need to goin for paint once I’m done. I told her I don’t do paint. I’m not sure who she will have do the work. I recommend Jesse. have you got the radio in? 90% of the wiring is done. The chassis is in the dash but I haven’t installed the radio yet. Probably 30 minutes worth of work left but Ikeep getting distracted by other things. Last night the neighbor kids showed up with a quad they bought that needed a heat shield for the exhaust. The only reason I did it was they had little kids riding it and getting burned.